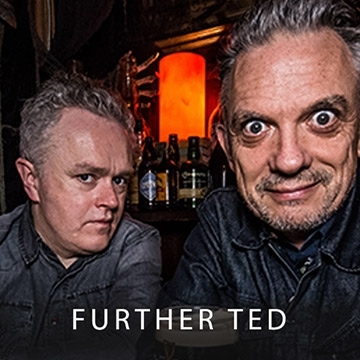 Further Ted - brings two of the most memorable characters from Father Ted together for a night of stand-up and musical comedy with a chance to compete in a "Lovely Girls" competition. Further Ted is a show that brings three of the most memorable characters from Father Ted together for a night of stand-up and musical comedy and a chance to compete in a “Lovely Girls” competition. You don’t have to be a girl to enter and the winner goes through to the Lovely Girls final at the Craggy Island Festival on Inis Oirr on July 16th. Inis Oirr is the original Craggy Island featured in the opening shots of Father Ted. Joe Rooney (Father Damo), Patrick McDonnell (Eoin McLove) and Michael Redmond (Father Stone) are renowned stand-up comedians who will have you laughing your head off with their unique take on Ireland and improvised audience interaction. The comical trio come together for the first time in a side splitting version of Riverdance as a show finale.